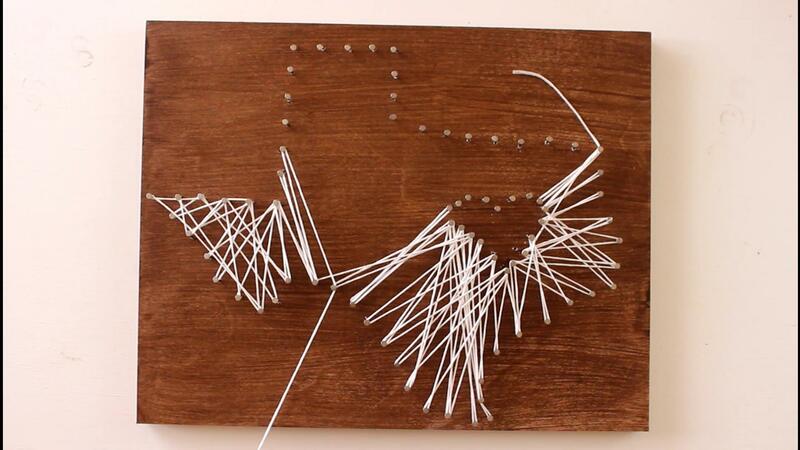 This DIY State String Art Project is so simple to do yet so gorgeous. 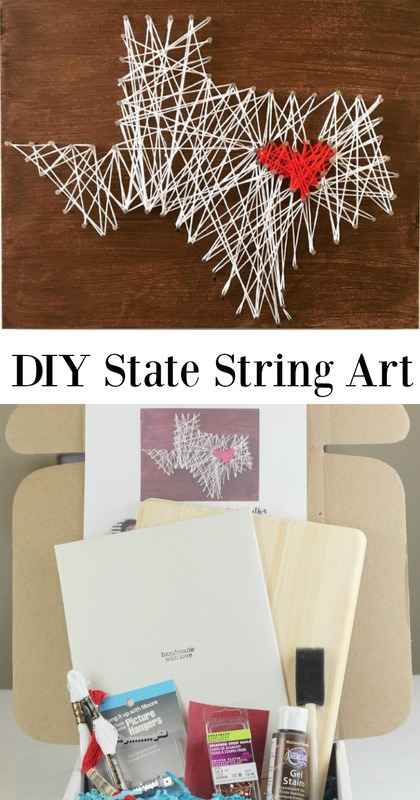 All the materials you need to create this state string art project are available in a Home Made Luxe project kit. 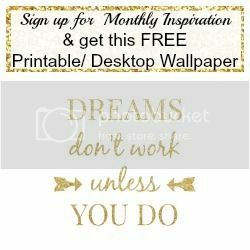 Sand wood plaque if needed. 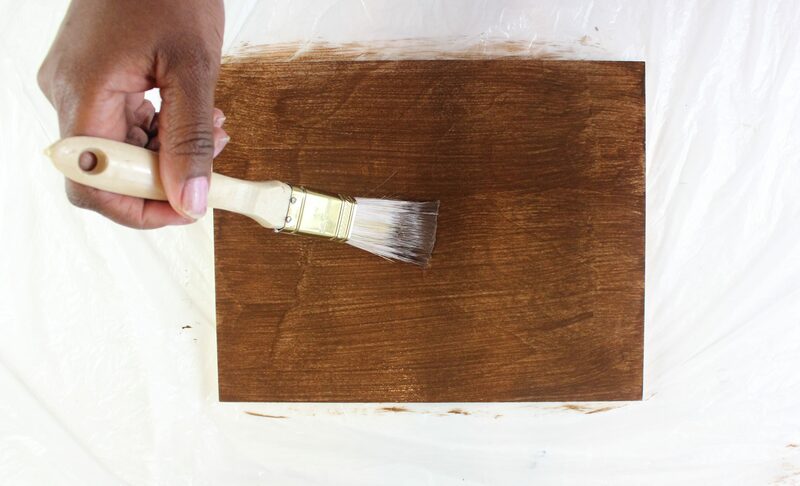 Paint or stain the wood and let try at least 1 hour. 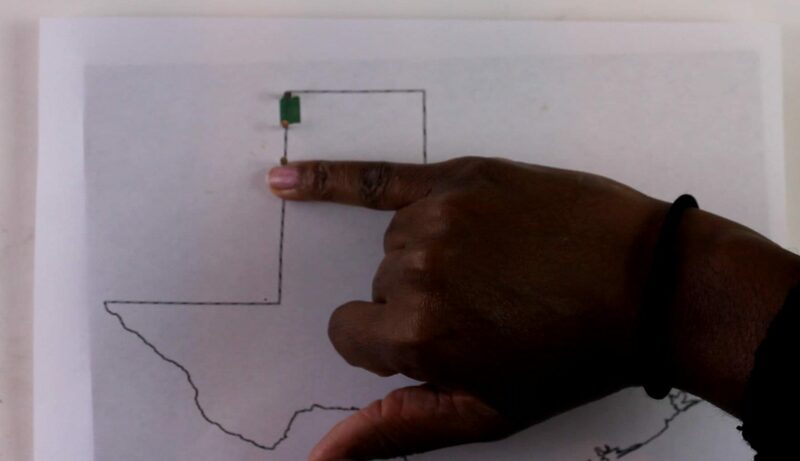 Hammer nails along the outline of your state, using your little finger to space each nail. 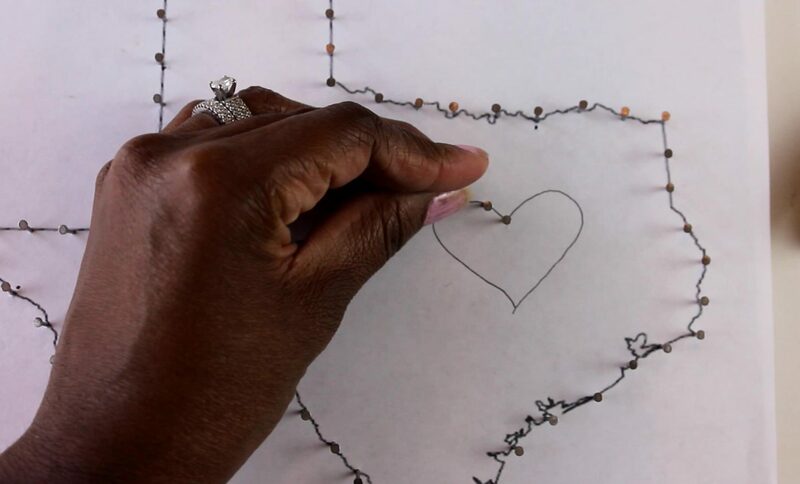 Once state outline is complete, hammer nails around the outline of the heart. 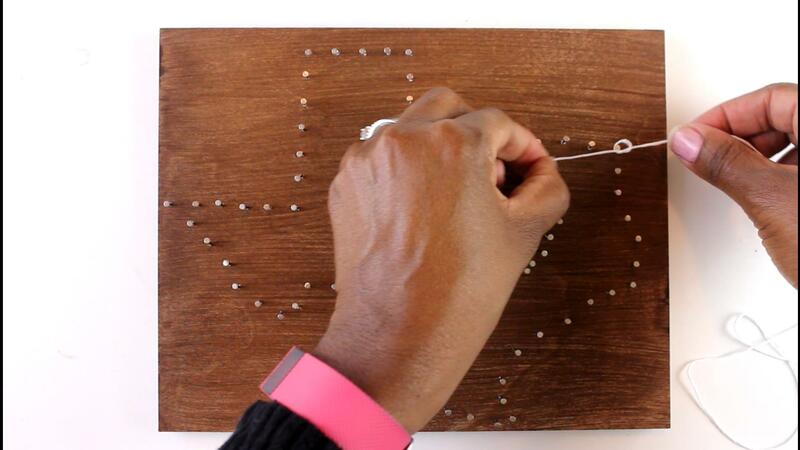 Once all nails are around the state and heart, remove the state template from wooden plaque. 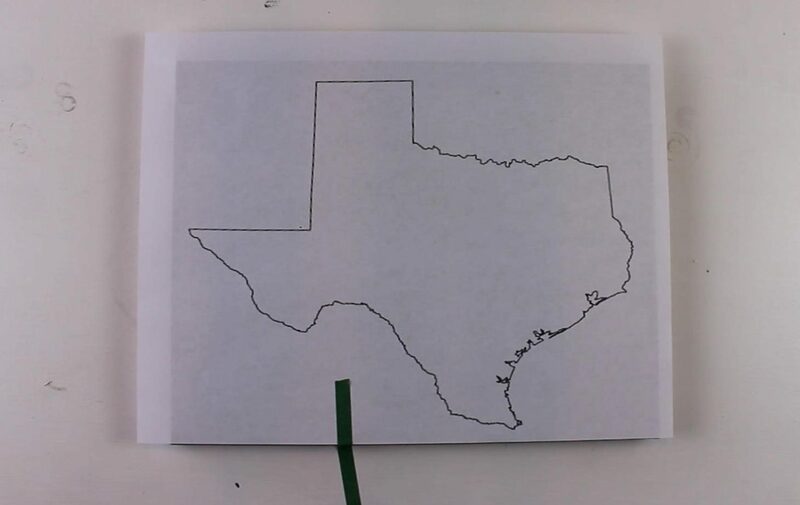 Starting at one corner of the state, tie a double knot around a nail using the white embroidery floss. Begin stringing the floss from nail to nail. Being sure to criss cross across the floss for a full look. Once you reach the end of the floss, tie a double knot around the final nail. Tip: Use some nails more than once for a full look. If you run out of white floss, simply repeat process of double knot at nail you ran out of and continue stringing. Repeat this process for stringing the heart section with the red floss. 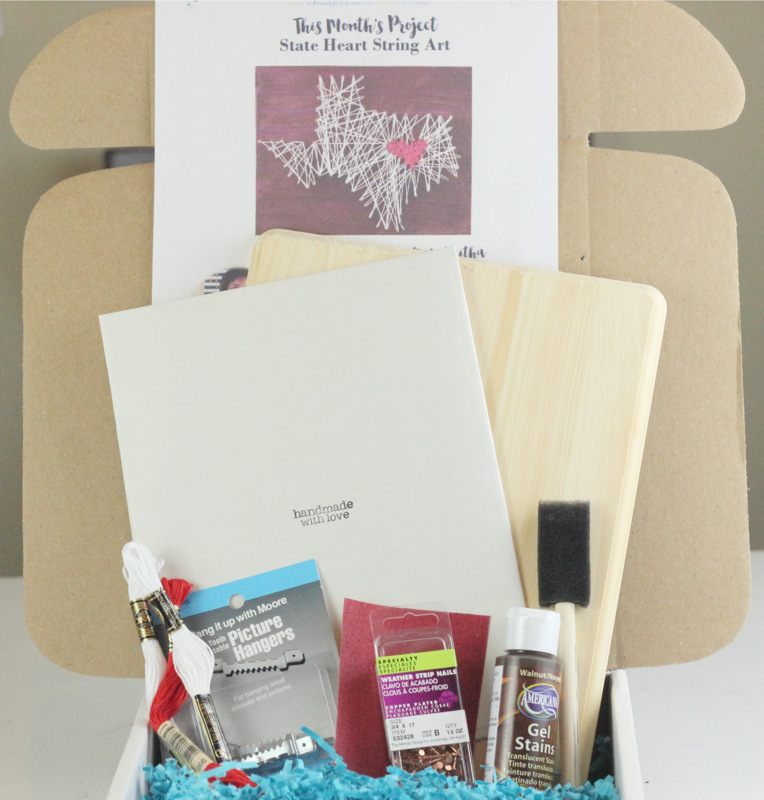 All the materials and instructions to make this gorgeous project can be delivered to your doorstep with a Home Made Luxe Subscription box. 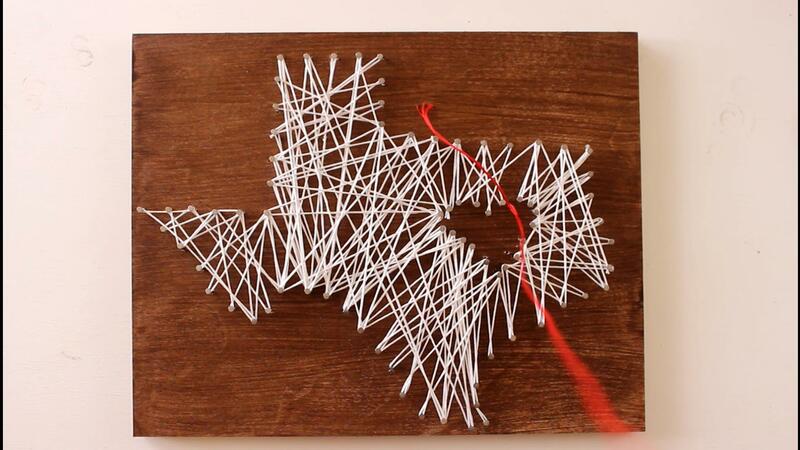 What a clever idea for string art!